Professor Green became one of music’s biggest new stars with the release last year of his debut album ‘Alive Till I’m Dead’ (it entered the charts at #2 and has since been certified double-Gold). His three mammoth hit singles ‘I Need You Tonight’, ‘Just Be Good To Green’ and ‘Monster’ amassed over 500,000 sales, while the Hackney boy can also boast over 1.3 million fans on Facebook. In addition, he also collected a string of awards in the shape of the, MOBO’s Best Hip Hop/Grime Act, NME Best Dance Floor Filler Award for ‘Jungle’ and the BT Digital Music Award for Breakthrough Artist of the Year. 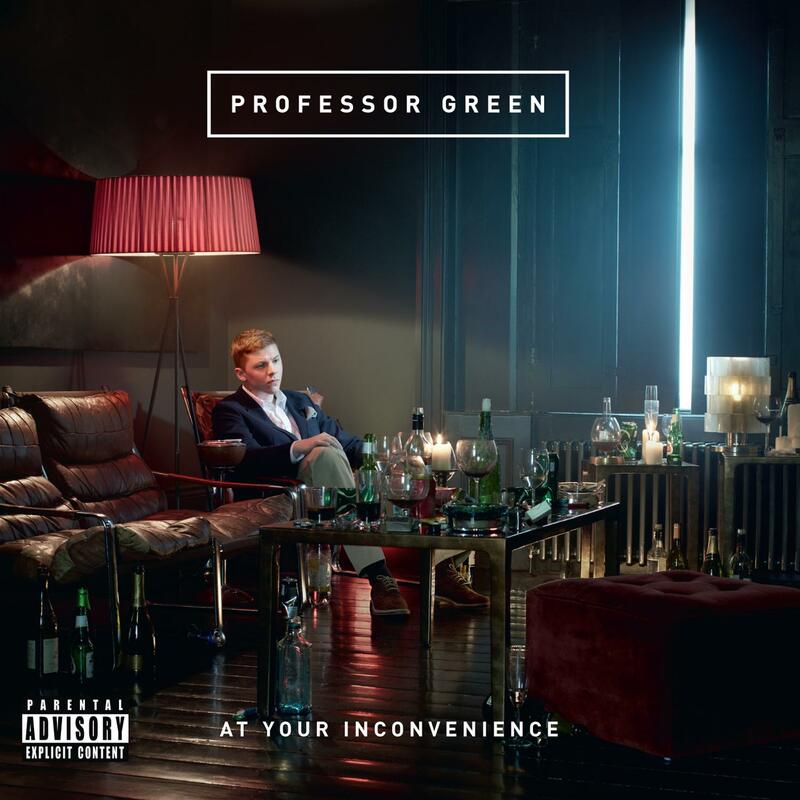 Now, Professor Green is looking ahead to the 31st October release of his eagerly-anticipated second album ‘At Your Inconvenience’. A statement of intent with its attention-grabbing hook, ‘At Your Inconvenience’ represents a huge leap forward in Green’s sound but is still peppered with his characteristically cheeky, jaw-dropping pop culture references. Professor Green takes a radically different approach on the album’s first full single ‘Read All About It’ which will be released on 24th October. An autobiographical confessional, ‘Read All About It’ features his most intimate lyrics and impassioned words to date. The single also features an incredible guest vocal courtesy of hotly–tipped, solo artist Emeli Sande.